Backpacking in the Canterbury region of New Zealand. Stretching down the east coast of the South Island, Canterbury is made up of 10 districts making it the largest region in New Zealand. There’s a lot to cover in the region of the darkest skies for stargazing, the stunning mountain range of the Southern Alps, epic river gorge adventures, Lord of the Rings filming locations, and so much more! Inland, Canterbury encompasses ski resorts, national parks with magnificent mountains, and farms, whereas the coast is a hub for marine life and has Canterbury’s capital city, Christchurch. When planning a backpacking trip around Canterbury, take a look at the guide below on how to get started, where to go, where to stay, and things to do for backpackers! Arthur’s Pass National Park is host to a variety of walking tracks and challenging tramping routes. A popular spot is the short walk leading to the Devils Punchbowl Waterfall, which you can admire from a viewing platform at the base of the falls. Arthur’s Pass also has a high number of kea, New Zealand’s native alpine parrot, which are entertaining to watch and often tamper with cars. We have a whole guide to Arthur’s Pass National Park. Check it out here. From the flat lands of the Canterbury Plains all the way to the Southern Alps, there’s lots to discover. For adventure-seekers, visit Geraldine and join a white water rafting tour on the Rangitata River. The nearby Peel Forest is popular for hikes and horse trekking for that real Middle-earth feeling. Head on next to Methven, a booming ski town in the winter and a quiet place for adventure activities in the summer. hop on a jet boat down the Rakaia Gorge or walk around the hidden gem that is Washpen Falls complete with rowing boat, views and so much more. Find more quaint Canterbury towns in 10 Underrated Spots in Canterbury. Canterbury’s largest ski field is Mt Hutt. The conditions are arguably the best ski resort conditions in New Zealand on a good day. Diehard Mt Hutters stay in the village of Methven for apres ski sessions at the Blue Pub or Brown Pub. The Hanmer Springs region has reputation for being a relaxing ski option, with the majority of trails being intermediate. After a chilled out day skiing or riding, you can boil in the thermal pools. Find out more in Hanmer Springs – Guide for Backpackers. You are spoilt for choice in the Selwyn district, where the ski areas are known as the Selwyn Six. Porters Ski area is the closest to Christchurch. Craigieburn is a quieter ski area for advanced and expert skiers and riders. For backcountry skiing visit Mt Olympus. The Mt Cook area has a number of small family-run ski fields, such as Mt Dobson, Roundhill and Ohau Snow Fields. Can’t get enough of skiing? Maybe you need to see this page: Ski Season in New Zealand or check more ski fields in The 24 Ski Fields in New Zealand. The Mackenzie district of Canterbury is famous for its vibrant blue lakes, tussock landscape and its dark skies ideal for stargazing. The townships of Twizel, Lake Tekapo and Mt Cook Village are the main hubs of the area offering heaps of activities. See New Zealand’s highest mountain! Sure, New Zealand has a lot of mountains, but it is something special when you see Aoraki Mt Cook, the tallest mountain in NZ at 3,754m. Aoraki Mt Cook National Park has a variety of outdoor activities to enjoy while taking in the majestic surroundings; glacier kayaking in a glacial lake with icebergs, horse trekking, mountain biking, and scenic flights to see it all and land on the Tasman Glacier itself with Inflight Experiences. See how New Zealand’s icon Sir Edmund Hillary trained at Mt Cook to be the first to reach the summit of Mt Everest. For more information, check out Aoraki Mt Cook National Park – Guide for Backpackers. Stargazers rejoice! The Mackenzie district is one of the best places in the world to see the stars of the southern sky and has been established as an International Dark Sky Reserve. In particular, Lake Tekapo’s observatory at Mt John allows visitors to use state-of-the-art equipment to really make the most of those dark skies. Find out more at: 5 Stargazing Sites in New Zealand. For more things to do in Lake Tekapo, check out Lake Tekapo – Guide for Backpackers. For more places worth checking out in the Mackenzie district, see 10 Underrated Spots in Canterbury. A city on the mend after the 2010 and 2011 earthquakes, a backpacking trip to Christchurch is an eye-opener to see the long-term impacts of an earthquake. The museum Quake City is a good informant of this. Or take a double-decker or tramway tour to see the highlights of the city. Christchurch knows how to host good and excessive amounts of markets so it’s worth checking out the upcoming markets on Event Finder. There are bars and clubs scattered around Christchurch such as the Darkrooms for live gigs or Chat’s Bar for a cheap and cheerful backpacker’s night out. 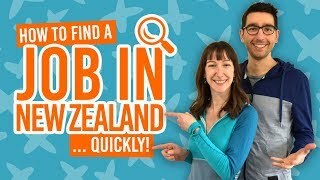 Check out the 10 cheap or free things to do in Christchurch and Christchurch City – Guide for Backpackers. Joining dolphins and seals and watching whales in their natural environment is a unique opportunity, which Kaikoura is renowned for. Find out more in Kaikoura – Guide for Backpackers and 8 Kaikoura Must-Dos. You can also take a trip to Akaroa to spot little blue penguins and swim with Hector’s dolphins. More information can be found in 10 Things We Love About Akaroa and Akaroa – Guide for Backpackers. Watch little blue pengiuns go back to their nests at dusk in Timaru. You can also walk around Pareora Dam and River. Walk around the beautiful city park of Caroline Bay. Get all your adrenaline activities in one place at Thrillseekers, Hamner Springs. Take scenic TranzAlpine train through the Southern Alps. Where to stay in Canterbury? For more accommodation options, check out Accommodation Guide to Christchurch City Centre and Where to Camp in Christchurch.